The Brooklyn Waterfront Artists Coalition (BWAC) announces a call for artists for Material Matters: Breaking With Tradition. As an expression of culture, art is often unconventional, rebellious, experimental, and insightful. Yet, art, by necessity, relies upon familiar traditions to achieve its unconventional ends. This is why the better we know our traditions, the more cleverly we can break them. The annual exhibition, Material Matters, asks artists who work in a variety of traditional materials to consider the traditions underpinning their work and the rules and conventions they break in method or material. Artists are invited to submit original works that change traditional ways of seeing by demonstrating a break with the past or suggesting a new way forward, whether toward logical or illogical conclusions. The juror, Melissa Stern, artist and journalist, will be looking for artists’ work that illuminates their vision and scope. All award selections will be made by the juror. Awards will be presented at the Opening Reception, Saturday, October 6, 2018. This is a national juried exhibition for artists 18 years of age or older working in clay, glass, wood, metal, or fiber/textile alone or in combination. Only submit original works. All work must be for sale. BWAC will retain a 30% commission on all exhibition sales. BWAC’s 25,000 square foot gallery is in a Civil War-era warehouse on the Red Hook waterfront. The vista of New York Harbor, spanning the Statue of Liberty to the Verrazano Bridge, is one of the best in the city. Gallery-goers enjoy the nearby restaurants, bars, IKEA, and Fairway Market. For over 20 years, BWAC has provided support for musicians and performers, offering performance based opportunities to participate as a major feature of opening receptions and specially themed exhibitions. Performances complement ongoing programming. Some notable events have included a long-running acoustic series, Red Hook Unplugged, an exhibition of Caribbean art and music, and the staging of multiple outdoor battle-of-the-bands featuring local rock groups. Musicians and performers from around the world perform on the BWAC stage on weekends from 1-6 pm throughout each exhibition season. 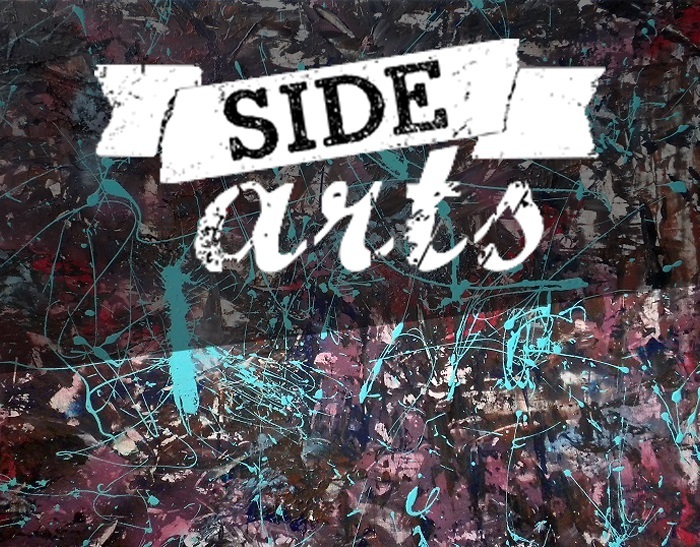 The art exhibitions and performances are free and open to the public. For more information, contact bwacmusic@gmail.com. 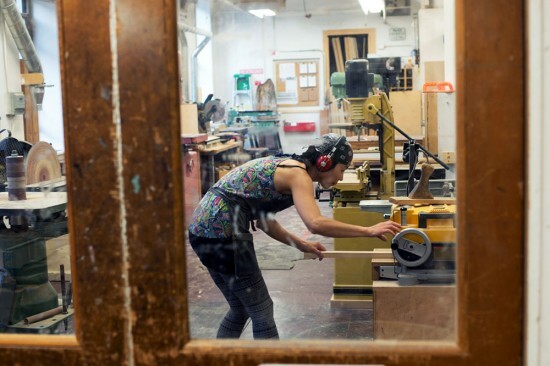 The Brooklyn Artists Waterfront Coalition (BWAC) announces a call for artists for Material Matters, Innovations in Clay, Glass, Wood, and Metal. What is art and what is design? Where is the line? Is there a line? When did the concept of functionality become antithetical to fine art? What is the role of design in art and art in design? Must we still refer back to Plato, who identifies only music and poetry as fine arts, relegating the work of the hand as lowly materiality? Surely, nearly a quarter into the 21st century, we must re-assess our thoughts about where boundaries exist now. While we create new definitions for community, and new paradigms for communication, where do the visual arts fit in? We are surely bound by our materiality. Ours are the “too, too solid flesh” of the arts — actual, not virtual, art in three dimensions. We may be the last bastion of brilliance in designing the material world. Isn’t this the right time to celebrate that? 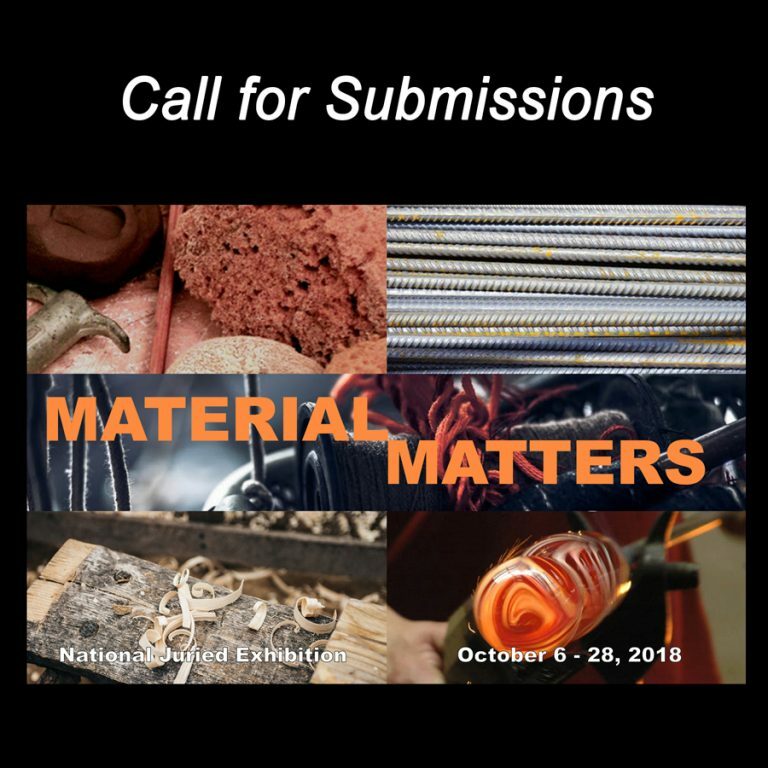 This year’s national juried exhibition, Material Matters, seeks work that explores ideas about form over function in work using clay, glass, wood, or metal alone or in combination. If your work inhabits these boundaries, BWAC is looking for you. The juror, Lilian Tone, Assistant Curator in the Department of Painting and Sculpture at MoMA, will be looking for artists’ work that illuminates their vision and scope. This presents the possibility of selected artists having more than one artwork juried into the show. This is a national juried exhibition for artists 18 years of age or older. All artwork must be original in concept, design, and execution. All work must be handcrafted by the artist. Mass production work and commercially manufactured pieces will not be accepted. Five (5) Certificates of Merit will also be awarded. Material Matters will be on view during BWAC’s Fall Shows, which see a large portion of the over 18,000 annual visitors. All award selections will be made by the juror. Awards will be presented at the Opening Reception, Saturday, September 23rd, 2017. BWAC will retain a 25% commission on all exhibition sales. Exhibit your work in BWAC’s 25,000 square foot gallery, a Civil War-era warehouse on the Red Hook waterfront. The spaciousness of the gallery means large works are welcome. The vista of New York Harbor, spanning the Statue of Liberty to the Verrazano Bridge is one of the best in the city. The gallery sees over 18,000 annual visitors. The Brooklyn Waterfront Artists Coalition is a 501.c.3 non-profit corporation. Organized in 1978 by 16 artists looking for a place to exhibit, BWAC has grown to become Brooklyn’s largest artist-run organization with over 400 members. The artist/members are the management, leadership, board and staff. There are two synergistic missions: 1) to assist emerging artists in advancing their artistic careers; and 2) to present the art-of-today in an easily accessible format. For more information, contact bwacmm@gmail.com. The Houston Center for Contemporary Craft announces a call for artists for an Artist Residency Program. Houston Center for Contemporary Craft (HCCC) is a nonprofit arts organization founded to advance education about the process, product, and history of craft. HCCC’s major emphasis is on objects of art made primarily from craft materials: clay, fiber, glass, metal, wood, or found/recycled materials. For more information, contact mmendoza@crafthouston.org. The Art Market with more than 170 visual arts and crafts exhibitors from across North Carolina and the nation. Kidsplosure, showcasing multiple interactive educational activities and entertainment for children and their parents. This past year, we celebrated the 35th anniversary of Artsplosure – the Raleigh Arts Festival! Since its inception in 1980, the spring festival has entertained and inspired hundreds of thousands of people, introducing them to underrepresented artists and performances. Every aspect of the festival is curated with an eye toward presenting quality art – and a healthy dose of the unexpected. The festival balances critically acclaimed national artists with some of North Carolina’s best performing and visual artists. The result is an eccentric mix of artistic expression, undoubtedly with something that appeals to everyone. Fore more information, contact sarah@artsplosure.org. Art Within Reach seeks area artists to present at Art for the Holidays 2014, on December 12-13, 2014, in Collingswood, NJ. An artist showcase and sales event offered in a unique and casual setting, featuring art and fine crafts of many types, styles, and price ranges. We have space for 30+ artists. All work must be handmade by the artist. No assembled kits, resale, or other third-party representation. Each space is to showcase a single artist. No teams or groups. Artist spaces are at least 10 feet in length and approximately 3 feet in depth; space to accommodate up to an 8-foot table or equivalent. All artist spaces are indoors for this AWR event. This is a rain or shine event. For more details and application instructions, go to ArtWithinReachNJ.com . The Art Within Reach mission is to create an outlet where local and area artists can team up to show their work and make it available for sale at reasonable prices to the public. It’s not just about making money; it’s about sharing what we’re doing with the people in the area where it is being done. Art Within Reach, building a rich and vibrant artist community. For more information, contact artwithinreach@outlook.com.